European children's entertainment producer and distributor Alphanim has secured several licensees for its new animated CGI series, Calimero, which is set to air this year. 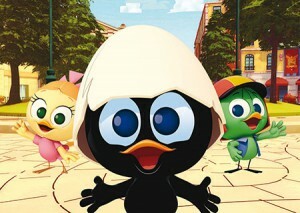 European children‘s entertainment producer and distributor Alphanim has secured several licensees for its new animated CGI series, Calimero, which is set to air this year. 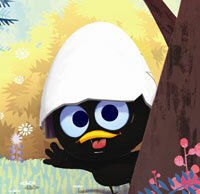 Based on the character created in 1963 by Pagot, the 104 x 11-minute episodes will premiere on France’s TF1, Italy’s RAI, Disney Junior (select EU markets) and Télé-Québec throughout 2013 and 2014. The coinciding licensing agreements include a master plush deal with Nicotoy, which will create plush and baby plush products for Western Europe (excluding the UK). In the toy category, Androni Giocattoli will launch beach toys and accessories for Western EU, Scandinavia & CEE. In apparel, MLP has picked up the license for daywear, nightwear, underwear, socks, swimwear and accessories for babies, kids and adults in the territories of France, Benelux, Italy, Germany, Austria, and Switzerland. 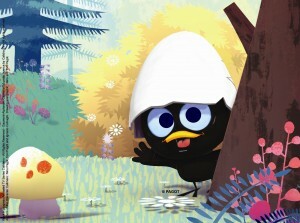 And rounding out that category is a renewal with Oysho, part of the Inditex Group, which will continue to offer its collection of Calimero clothing through 2013. Alphanim, which developed the series with France’s TF1, distributes the program and manages the brand internationally on behalf of rights owner Calidra.